Jesus spoke of The Parable of the Mustard Seed which is themed around Heaven growing from a small beginning. “He presented another parable to them, saying, “The Kingdom of heaven is like a mustard seed, which a man took and sowed in his field; and this is smaller than all other seeds, but when it is full grown, it is larger than the garden plants and becomes a tree, so that the Birds of sky come and nest in its branches” Matthew 13:31-32 (NASB). In a similar fashion, Restoration Barbecue started with an idea the size of a mustard seed, and the idea has begun to grow. Todd and Maribeth moved to Houston in 2015 to find new opportunities in a harsh economy. In 2016 Todd became interested in the craft of Central Texas Style Barbecue. His hobby started in our backyard using a $40 Wal-Mart charcoal grill that came dented! He spent time researching, testing, stalking YouTube videos, and using his family as guinea pigs to figure out how to make barbecue. After a couple months, Todd started to get the hang of making smoked meats taste really good, and his family and friends were impressed by his new-found talent. Pictured Above: The charcoal grill that Todd's BBQ adventures started on! Todd began building an all wood smoker using a 1000-gallon propane tank. He knew for a ministry of this kind to begin, the Lagendyk’s would need to start off their business as debt free as possible. To do this would mean intensive labor, and doing everything himself, little by little. This also meant he would have to find a place to build, devote many hours away from his family, and work long days and weekends. Todd was given the opportunity to use his workplace as a space to build, and by the grace of God got the smoker finished in two and a half months! Once completed, the smoker was 20 feet long, 16 feet tall, 4 feet wide and has the capacity to feed up to 600 people. On December 17, 2016, the ‘big monster’ saw its first cook, and it was a success! Todd was more than happy with his results, and he knew we were one step closer to making our small idea a reality! Pictured Above: The beginning...the smoker being built from the ground up. Pictured Above: The smoker is almost done. Being part of a small church, Todd started networking and getting people interested in his barbecue! In February 2017, he was given the opportunity to cook for 250 people at the Churches Rally Day! That day really changed a lot for the Lagendyk’s. With all the positive feedback, Todd and Maribeth knew this was the right path for them, slowly but surely God would provide! Since that major cook for the Church, Todd has been asked to cater for a wedding, parties and individuals alike. Maribeth has joined in the cooking scene as well, and has created some signature dishes to add her own touch to the business (who doesn’t love Mac n’ Cheese). Fast-forward to May 2017, Todd and Maribeth agree the next step is to form a business, a real business. But how? Where would the funding come from? How would they juggle a toddler, a newborn and a business? Was God crazy? Why would he plant these seeds in our hearts without any way to commit to it? Being obedient, Todd prayed and waited for doors to open! 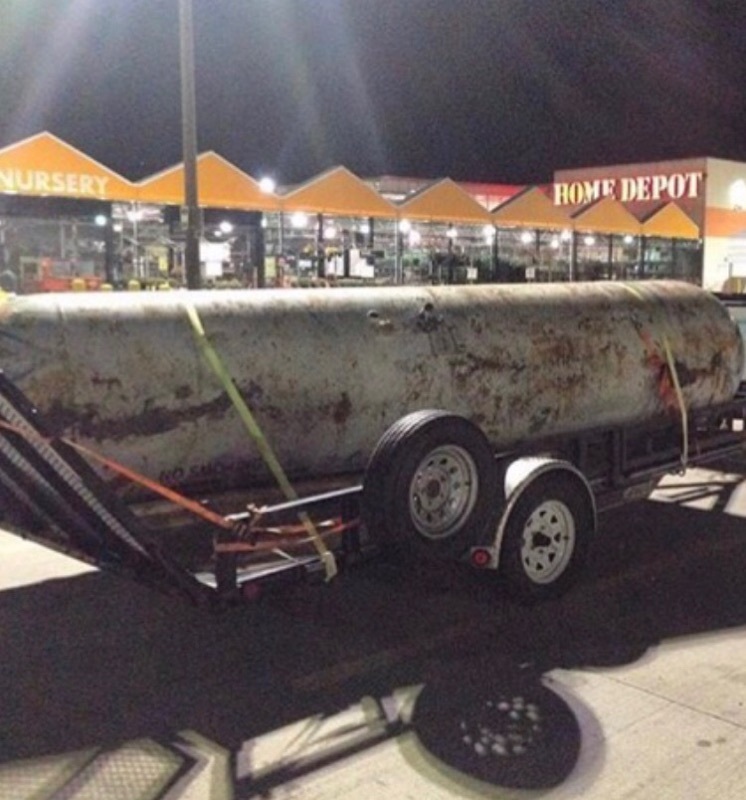 In June 2017, Todd encountered a business that was selling a trailer for a killer price, a trailer that could be used as a barbecue food trailer. This was too good to be true, right? It had to be… Todd and Maribeth went to look at the trailer and it was what they were hoping it would be, for such a great deal! This would be the trailer that Todd could transform into a mobile kitchen! However, this would mean more hard work, more time, more blood, sweat, and tears…wasn’t there an easier way? Pictured Above: The soon-to-be BBQ food trailer! After praying about it, Todd and Maribeth decided to take the leap of faith and get the trailer. Once it was bought, the reality of having a business became apparent. They decided to take the jump and create an official LLC, and in June 2017 Restoration Barbecue, LLC. was born! Now comes the fun part, building the trailer, getting permits and opening the business. It seems to be a terrifying venture to dive into, but we know that by our continued obedience and unwavering trust, we will have a food establishment we are proud of. The journey has been semi-long, complicated, frustrating, and lots of hard work, but we are excited to have this opportunity. Someday soon, we hope to move our business into ministry where we will help those who need a second chance.